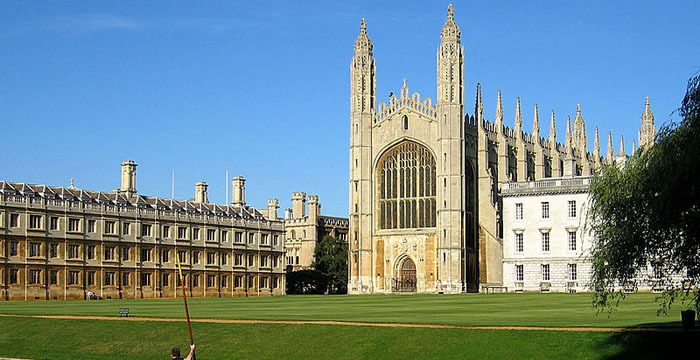 The University of Cambridge’s law school has proved triumphant in its long-standing rivalry with the University of Oxford’s, it today being named the best in the country and the second best in the entire world. For the past two years, Oxford had held the ‘best law school in the UK’ title, as per the QS World University Rankings. This year, Oxford has found itself in second place in the country and third place in the world. The London School of Economics (LSE) is ninth in the world, alongside a top ten dominated by US universities including Harvard in first place, plus Yale, Stanford, New York and Columbia. But the UK/US’s once total top ten duopoly has been disrupted this year by Australia, the University of Melbourne rising from 11th to eighth place. Other top-performing UK law schools in QS’s 2018 ratings include UCL, in 12th, King’s College, in 20th, Edinburgh, in 25th, Queen Mary University of London, in 34th, and Durham, in 47th. Further down the rankings — which name the globe’s top 300 universities for legal research, teaching, and learning — UK law schools to fall within the 51-100 category are: Manchester, Nottingham, Warwick, Birmingham, Bristol and Glasgow. Birkbeck, University of London is the highest-placed non-Russell Group university, placed in the 101-150 range alongside the likes of Cardiff, Sheffield and Leeds. SOAS University of London and Kent also sit in this category. QS’s rankings don’t just cover law schools, but general university ratings too. The Massachusetts Institute of Technology takes the top spot here, followed by Stanford, then Harvard. The California Institute of Technology is in fourth, before a blitz of UK universities take fifth, sixth, seventh and eighth place: Cambridge, Oxford, UCL and Imperial respectively. Rounding off the top ten are the University of Chicago and ETH Zurich. You sound perfect for us. Bristol is the best. Sooty never went to Bristol. morle like Oxbridge, UCL and LSE rejects. Bristol is just the same as Durham. Heard that before. Bristol is the cream of England, rich and thick. I almost copped off with an undergrad at Durham. During the war (Northern campaign 1969-94). Yeah, sweetie, only that QS doesn’t measure how far you think a university pushes you. The fact that KK thought that this quote is evenly remotely relevant makes her look like the idiot she is. At best, ’employer reputation’ could be seen as a sign of respect for the Cambridge workload and its supervision system. That, however, hasn’t changed from year to year. Last year’s Cantabs were pushed just as hard as this year’s Cantabs. So we’ll have to find another reason for the change in ranking between Oxford and Cambridge. That reason can be ascertained by looking at the numbers of the constituent metrics for the law faculty rankings. It’s as simple as that. Durham has fallen from 40th to 47th. Wonder whether they’ll change the description on their website that describes them as a ‘top 40’ law school? Are you your college’s textbook snake?